Trainer Matthew Smith has sent Tonsor to Brisbane where he will race in an open handicap at Doomen. Sydney trainer Matthew Smith has chosen Brisbane as the most suitable next step for the promising Tonsor. The Warwick Farm trainer accepted with Tonsor in Saturday’s Open Handicap and the Class Six race at Doomben, both over 1350m. Smith has elected to run him in the Open Handicap with Robbie Fradd in the saddle from barrier one. Tonsor, by champion sire Redoute’s Choice who died earlier this week, out of Brazilian Pulse, winner of the 2010 VRC Oaks, has won four of his seven starts including his past two at Canterbury and Warwick Farm. He won a Newcastle Class Two race last year over 1400m and Smith has been keen to get him back to a similar distance after his most recent wins at 1100m and 1200m. “He is nice horse who has been working his way through the grades,” Smith said. There has been rain in Brisbane this week but it is expected to clear to showers by Saturday. “He won’t want it too heavy but a soft track should be no worry,” Smith said. Tonsor was a $300,000 buy at the Inglis Easter Sales but had s belated start to his career. He was originally with Paul Perry at Newcastle but was sold before he raced. Earlier on Saturday’s program, Toowoomba filly Miss Cavallo will be out to lay to rest theories her Doomben win last month was a fluke when she returns to the track. The filly is among the favourites for Saturday’s QTIS Two-Year-Old Handicap (1200m). Miss Cavallo earned her place in the $500,000 Aquis Jewel two weeks ago with a barnstorming victory at Doomben a fortnight earlier. The filly belied her starting price of $61 when she came from last at the 600m to run down tearaway leader Sugar Boom. She then charged home down the outside fence in the Aquis Jewel to finish second to The Odyssey. 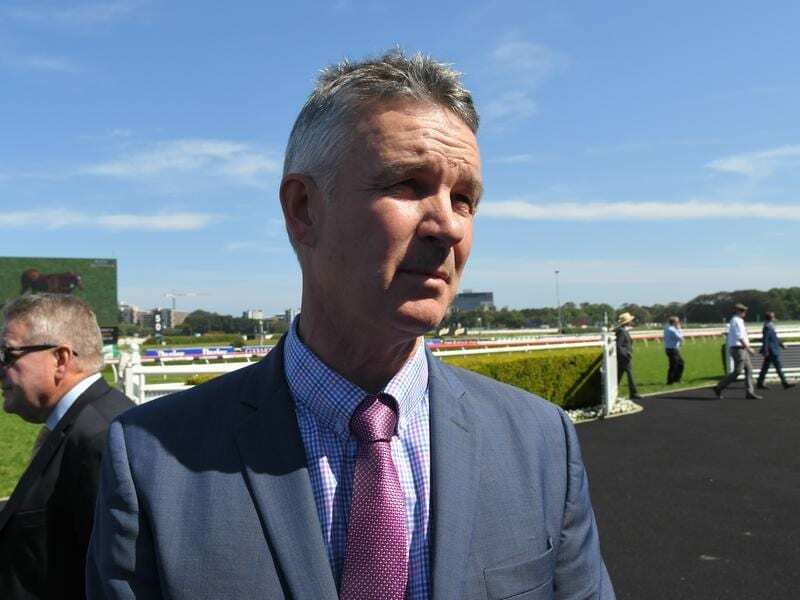 Her trainer Michael Nolan was one of the few not totally shocked by the Doomben win and he certainly was not surprised by the Jewel effort..
“She did get well beaten at her only other start but she had no luck at all,” Nolan said.